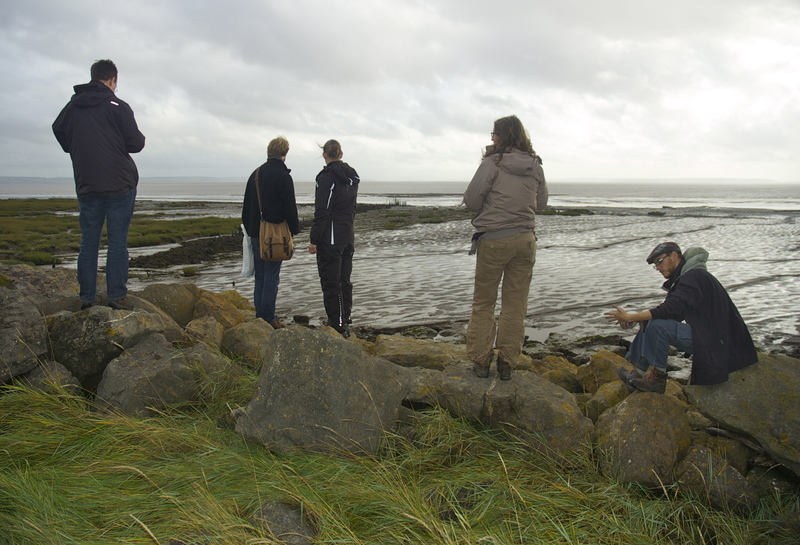 The second workshop of the project where Dutch (and other) researchers came to explore aspects of the tidal Severn Estuary with UK artists and academics. Owain and Bettina are indebted to Antony Lyons for his input into the organisation of this workshop and for his and his family’s hospitality over the three days. Our guests arrived at Bristol airport and were picked up by Antony and Owain and went for tea at Antony’s house and then supper at the Thali Cafe, Easton, where we were joined by Simon Read, Iain Biggs, Jethro Brice, and Amy Fletcher. (Antony (and family) and Owain also there). Main group traveled by train and taxi. Others joining the group by car. 11.15 am. 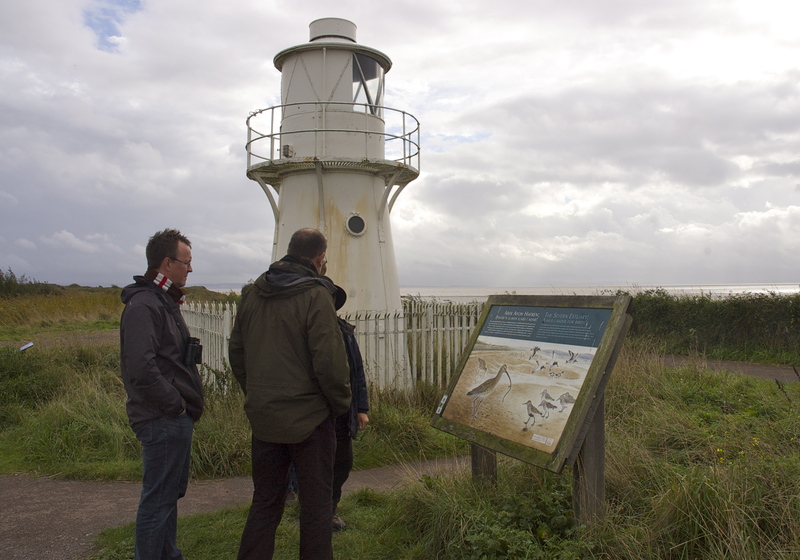 Overview of the Somerset Coast and the challenges it faces by the Somerset Coast Ambassador – Nigel Phillips. In this talk we heard how the local authorities have focused very much on the inland Somerset Levels in terms of landscape value and conservation. The North Somerset coast, although it has spectacular beaches, is neglected in terms of recreation by both local and national populations. Parts of the coast such as that at Brean are, we were told, classic examples of “coastal squeeze” when developments such as static home parks press right up to the sea wall, leaving little space for habitat or flood buffer zones. One look at a detailed maps shows that this part of the coast and then inland into the levels (which would once have been tidal marshes on the coast-ward side) is particularly vulnerable to climate change induced sea level rise and storm surges. 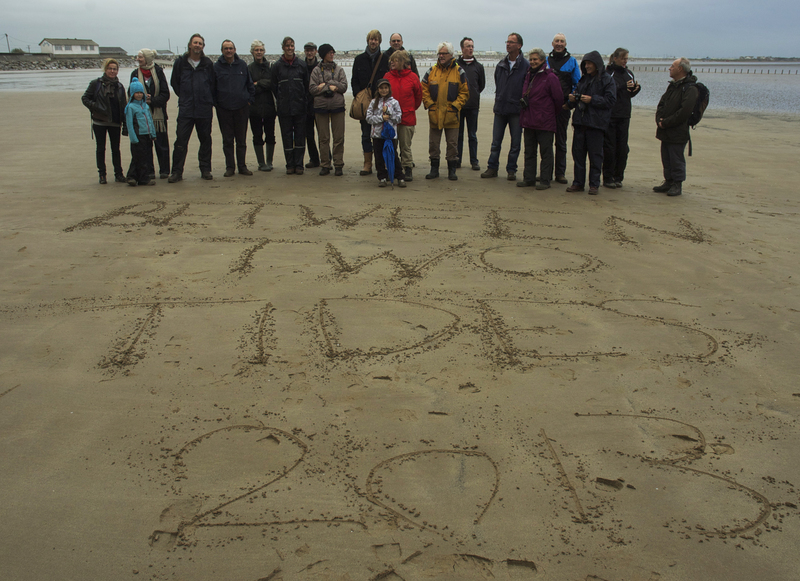 However the local agencies charges with the long term management of the coast are struggling to develop strategic plans – not least in the current climate of economic austerity. Nigel Philips also displayed a copy of his book “Somerset’s Coast. A Living Landscape”. Other books about the estuary and coastal landscape were on display provided by Owain. 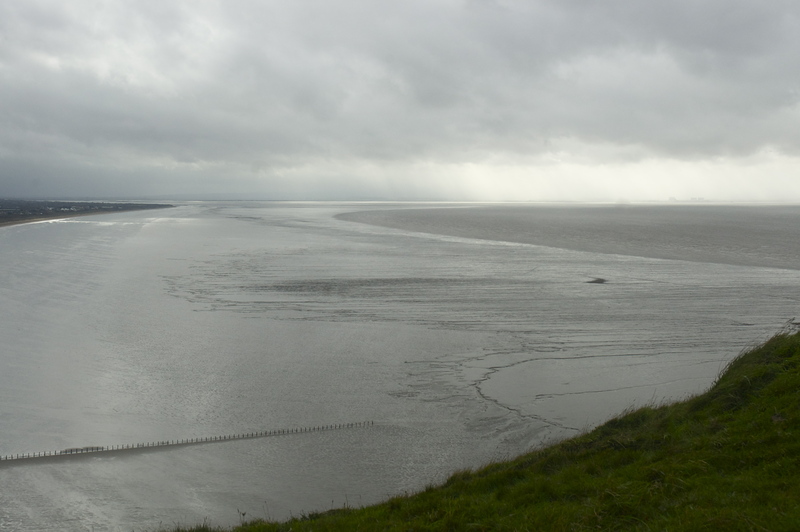 Walk onto top of Brean Down which offers panoramic views of the coast both east and west, the inland marshes and mouth of the River Axe, the seaside resort of Western-Super-Mare. The Down is managed by the National Trust and has significant historical heritage sites upon it. 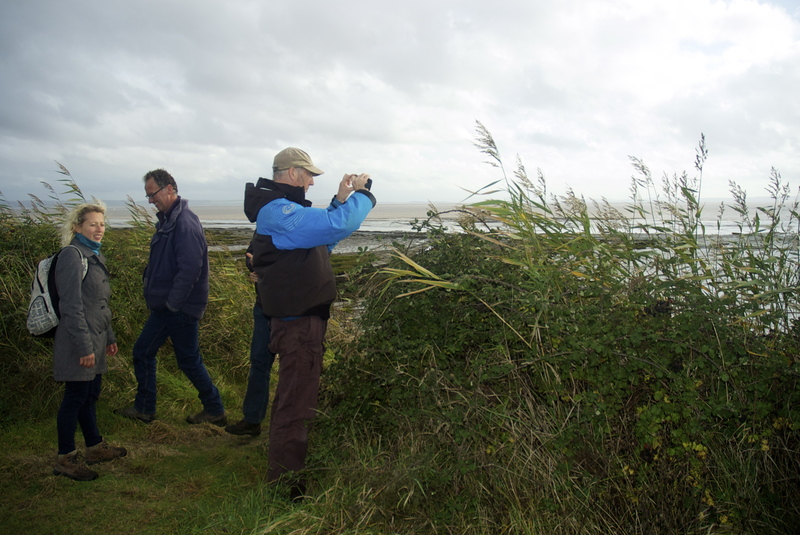 We had some short talks by Nigel, Steve, and Pete about various aspects of the landscapes in view. 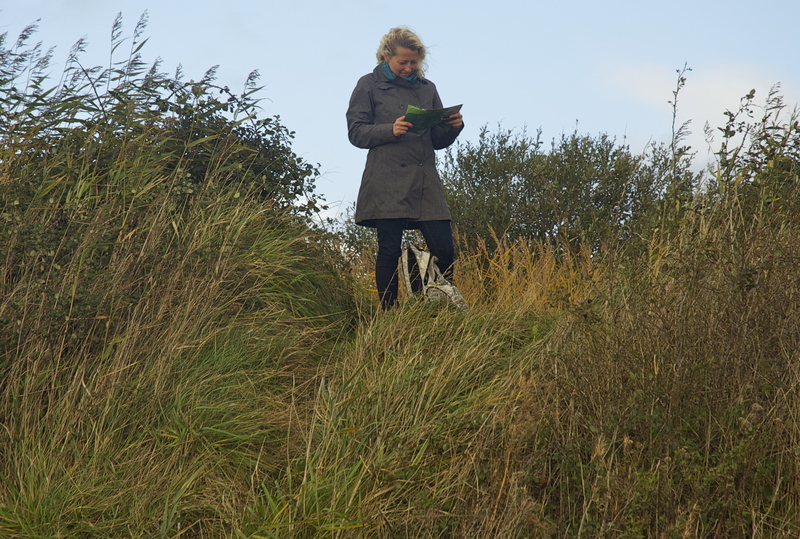 (But it was very windy!!). 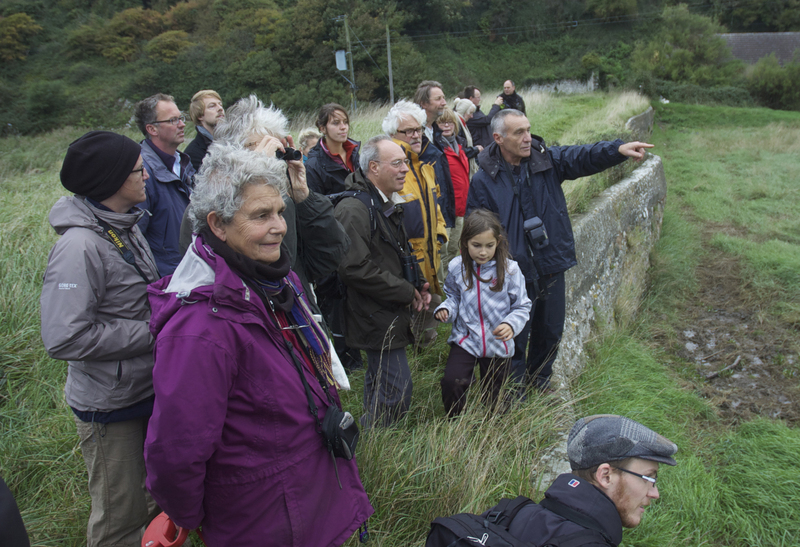 Steve Poole presented a beautifully illustrated talk on the landscape history of the area. This stressed how the landscape and it uses had changes over time and in particular how local communities and trading enterprises worked and lived with the tidal landscape of estuary and the nearby river Axe. We learned how local landmarks on the horizon, buildings, trees etc were used as visual references for those navigating ships up the estuary and into the river Axe through the powerful tidal currents that make navigation in the bodies of water so difficult. 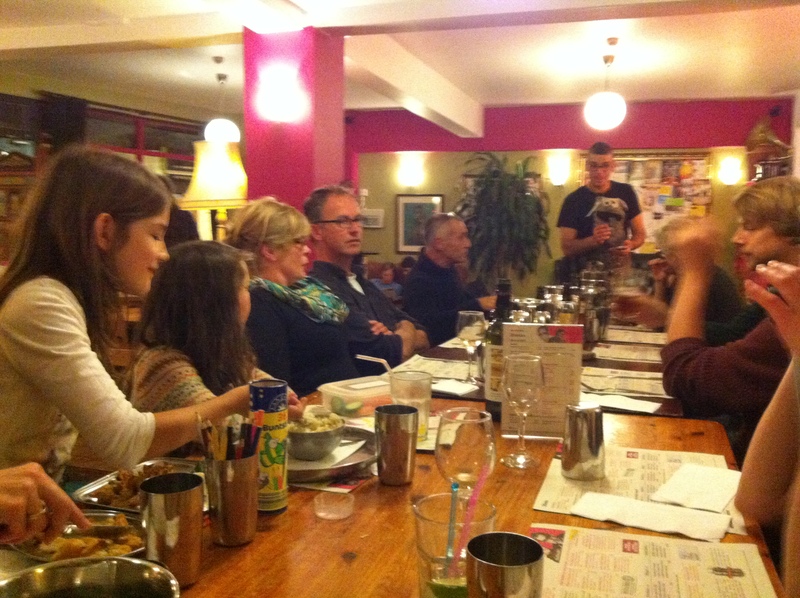 Supper at St Wergburgh’s Café, Bristol. 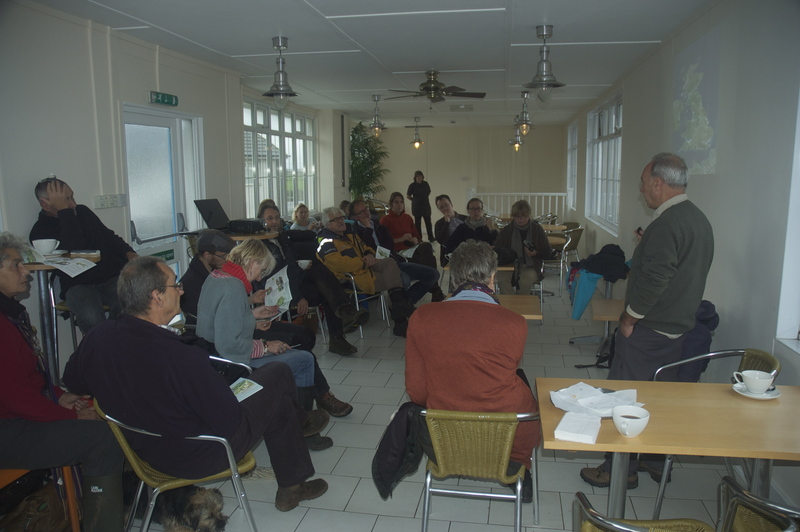 This included a talk by cafe owner Leona about the cafe’s local food ethos and the meal included wild food foraged earlier in the day by Leona and friends. Improvised music/sound performance by Bob and Jan. This is on posts pages of this blog and can be heard here. Thanks to Antony for recording and posting. Guest; Emma Roe, Dept of Geography, University of Southampton. 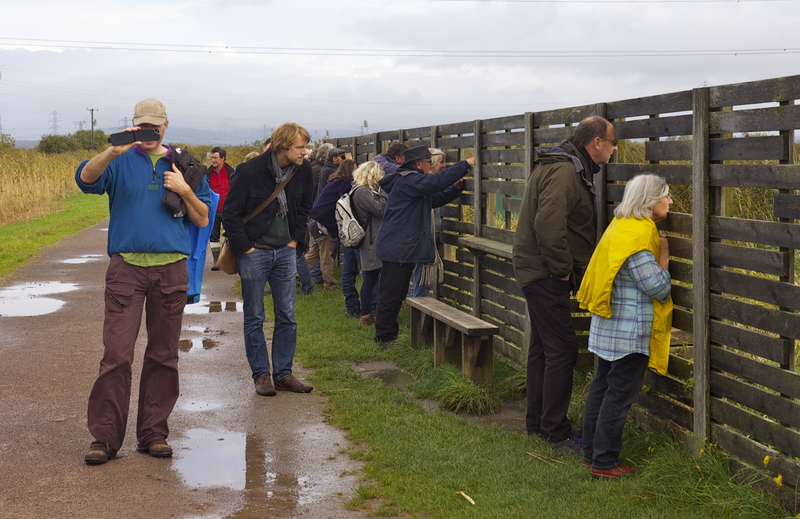 A trip was made, again by train (and bus), across (or rather under) the estuary to the RSBP Newport Wetlands centre. 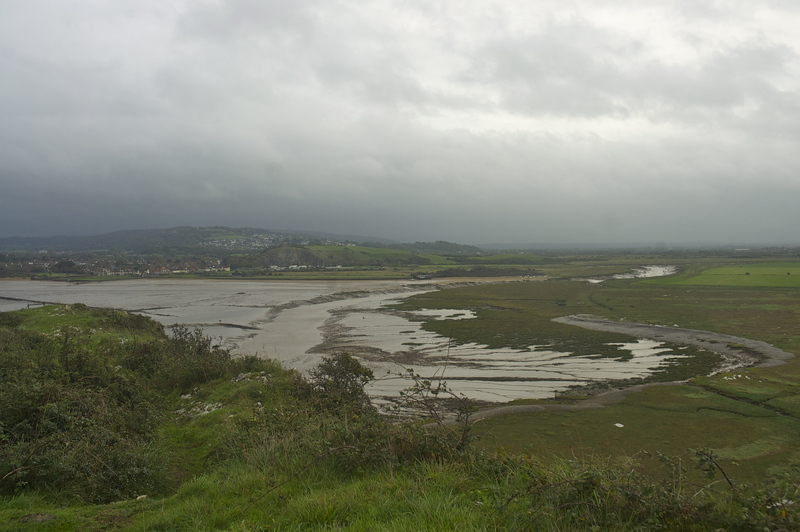 This is a nature reserve which is recreating coastal salt-march and wetland primarily for for bird habitat. The centre is built on ground once used for spoil deposition from the nearby Newport Power Station . It was funded in part by funds set up to compensate for habitat loss which the Taff Estuary (an SSSI with saltmarsh, mudflats etc) some 12 miles further west at Cardiff, was permanently inundated by the Taff Barrage project which created Cardiff Bay . 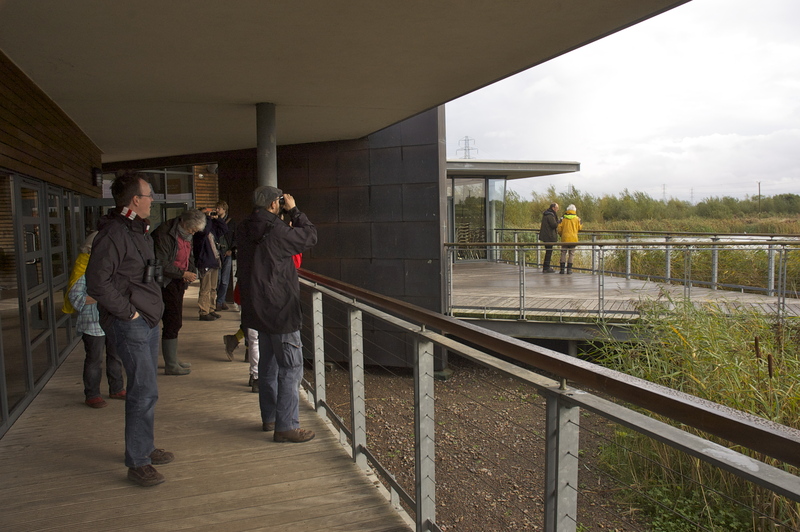 On arrival the group heard RSPB reserve volunteer give a talk introducing the Wetlands centre and the wider coastal landscape. 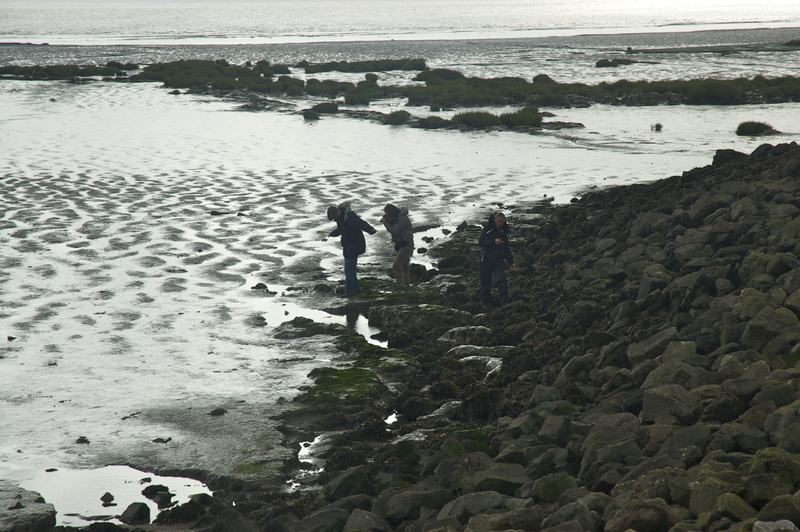 The group walked around the developing habitat and along the sea wall. A series of presentations and discussions were then held in the Centre’s meeting room. A discussion lead by Bob and Gerda about plans for 2014 events in Holland. A range of options were considered which included a collective performative event to be lead by Gerda which incorporate contributions from UK and other artists and academics. The central idea is the gather/generate narratives of belonging and loss which are prompted by living in the shifting fragile landscapes of the Wadden coast. Iain Biggs suggested a form of ‘Moot’ and ancient nordic form of gathering where speakers came together in a blend of story telling and politics. A series a talks were presented at Windmill Hill City Farm, Bristol. Gwenda van der Vart presented a talk entitled “The role of arts practice and expression in the resilience of rural communities in coastal areas. 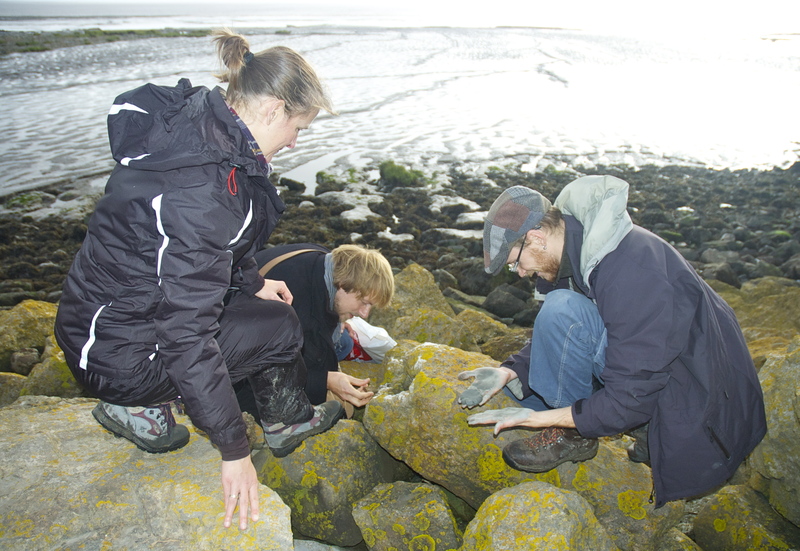 A case study of the Frisian Wadden Area. See Gwenda’s talk here. Louisa Fairclough played a sound recording made with a local person who had sought refuge by the Severn in times of personal stress/illness. Other works Louisa has produce on location around the Severn can be seen and heard here (get some headphones ready!!). Klaas Deen (Waddenacademie) showed a film setting out the conservation issues and futures of the Wadden Sea made by the Waddenacademie. See the film here. Martin Döring (University of Hamburg) presented a talk entitled “Coastal Images – Images of Coast: A Personal Story of Coast as a Research Object”. See Martin’s talk here. Miriam Woolnough of South Gloucestershire County Council presented a talk on South Gloucestershire’s Heritage Coast Project – “Forgotten Landscape”. See details here. Michaela Palmer presented an demonstration and explanation of the latest sonifications of tides and other phenomena in the Severn Estuary. See Sonic Severn resources on line. The workshop ended at 1 pm as the European guests departed by bus for Bristol Airport.